1.1In these Conditions the following definitions and rules of interpretation apply. 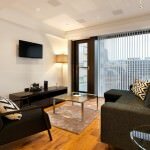 temporary accommodation in serviced apartments offered for reservation to the Customer by the Supplier subject to these Conditions. an agreement subject to these Conditions between the Customer and the Supplier for the provision of the Accommodation specified in the Booking Details. a statement annexed to these Conditions, and to which these Conditions apply, of certain information relating to a reservation of Accommodation which may (but need not) include and is not limited to: description and location of Accommodation; the length of stay; nightly rate or rates for the period of stay; earliest Check-In time, latest Check-Out time; Cancellation Period and Guest Details. the period of notice required to be given in writing by the Customer to the Supplier in advance of any change to a Booking Agreement. Guest arrival at Accommodation on the date of the first night of residency at that Accommodation in accordance with a Booking Agreement. Guest departure from the Accommodation. the terms and conditions set out in this document. the date on which a Booking Agreement comes into existence being the date the Customer accepts the terms of the Booking Agreement. a payment method, whether a credit or debit card or other payment method authorised by the Customer and approved by the Supplier for the making of payments to the Supplier on behalf of the Customer. Personal Data provided to the Supplier by or on behalf of the Customer and processed by the Supplier on behalf of the Customer. Guest vacated the accommodation prior to the agreed departure date given on the booking agreement. an event beyond the reasonable control of the Supplier including but not limited to strikes, lock-outs or other industrial disputes (whether involving the workforce of the Supplier, a Third Party Supplier or any other party), failure of a utility service or transport network, act of God, war, riot, civil commotion, malicious damage, compliance with any law or governmental order, rule, regulation or direction, accident, breakdown of plant or machinery, fire, flood, storm or default of suppliers or subcontractors. a nominee of the Customer staying at Accommodation. the Guest’s name, address, email address and telephone number. information provided to the Guest at the Accommodation including the Inventory and contact details for the Supplier’s Representative. 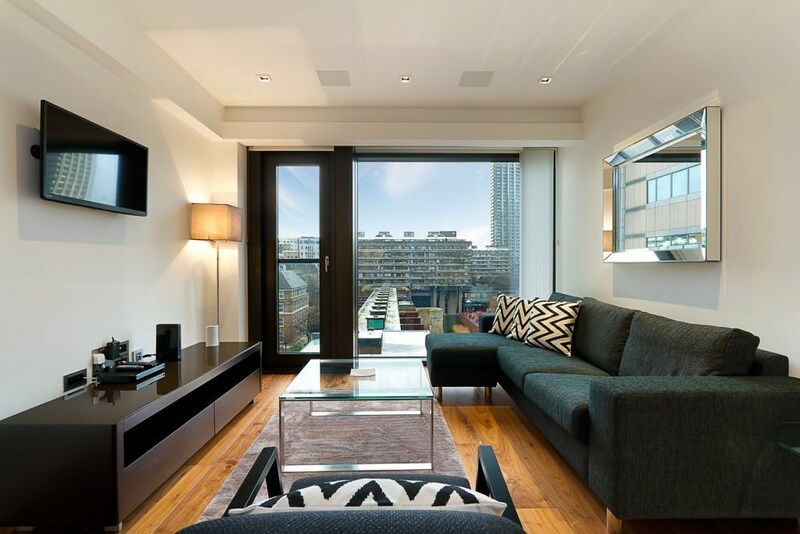 an inventory listing all items provided at a serviced apartment offered as Accommodation. the date on which an invoice for a Booking Agreement shall be raised as specified in the Booking Details and or the Statement of Work. the dates on which payment of invoices raised pursuant to Booking Agreements shall fall due as specified in the Booking Details and or the Statement of Work. any information relating to an identified or identifiable person including any Guest and including that person’s name, address, telephone number and email address. 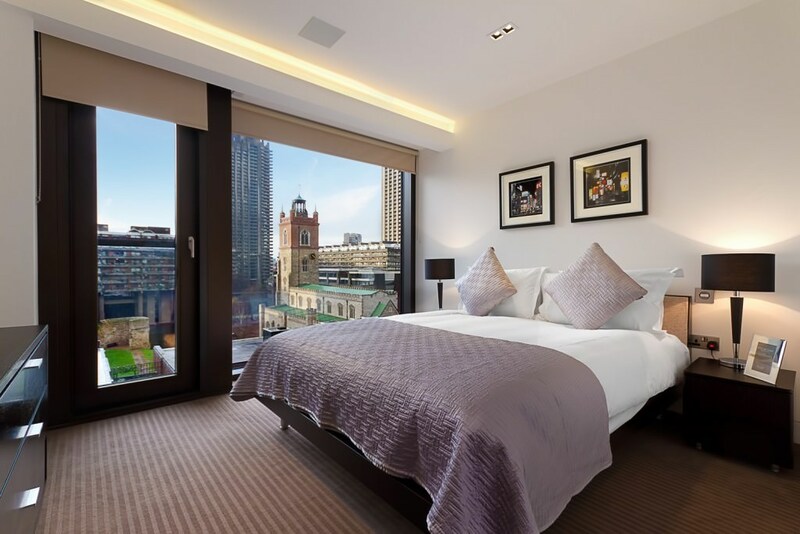 the provision of temporary accommodation in serviced apartments or other accommodation owned and managed by the Supplier or a Third Party Supplier. a statement of particular terms which the Customer and the Supplier agree shall apply to Booking Agreements agreed pursuant to these Conditions as varied by agreement between the Customer and Supplier from time to time. 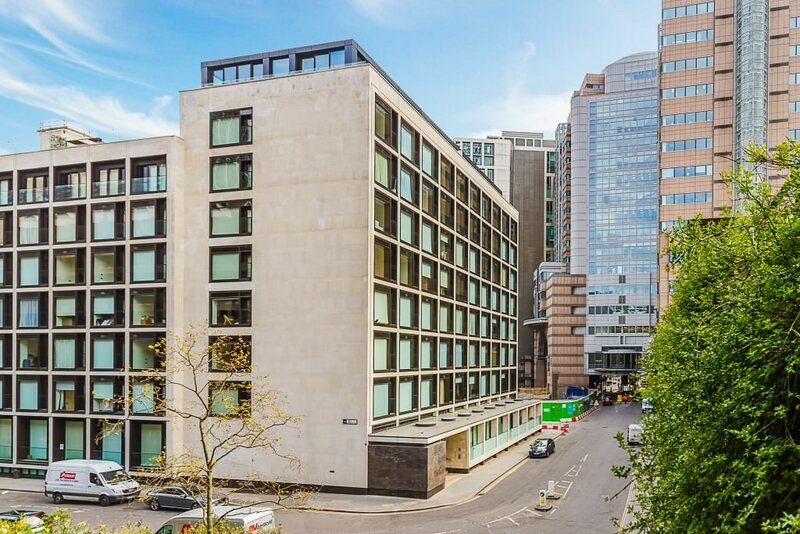 Skyline Worldwide Accommodations Limited a company incorporated and registered in England and Wales with company number 6809539 whose registered office is at 5 Luke Street London EC2A 4PX. the bank account nominated by the Supplier to the Customer from time to time for payments to be made pursuant to Booking Agreements. the representative of the Supplier or Third Party Supplier at the Accommodation. a provider of Accommodation other than the Supplier. the websites, operated by the Supplier providing online access to information relating to the Accommodation. (f)a reference to writing or written includes faxes and e-mails. 2.1A Booking Agreement constitutes the entire agreement between the parties in relation to the reservation concerned. The Customer acknowledges that it has not relied on any statement, promise or representation made or given by or on behalf of the Supplier which is not set out in the Booking Agreement. 2.2Any descriptions or illustration of the Accommodation issued by the Supplier, and any description or illustration contained on or in the Website, catalogues or brochures, is issued or published for the sole purpose of giving an approximate idea of the nature of the Accommodation and shall not form part of the Booking Agreement or have any contractual force. 2.3These Conditions apply to Booking Agreements to the exclusion of any other terms that the Customer seeks to impose or incorporate, or which are implied by trade, custom, practice or course of dealing. 3.1The Supplier will raise an invoice for a Booking Agreement on the Invoice Date. 3.2Payment pursuant to a Booking Agreement shall be made by the Customer on the Payment Dates in the Approved Currencies only. In the event that the quoted price for a Booking Agreement is not in an Approved Currency then the price will be converted to an Approved Currency on the Invoice Date using the relevant exchange rate as quoted on www.oanda.com. (c)bank transfer to the Supplier’s Bank Account. 3.4Where the Customer Payment Method is a credit or debit card, payment shall be subject to a handling charge of 2% + VAT for all credit and debit cards and the invoiced amount shall be collected by the Supplier from the relevant Customer Payment Method on the Payment Dates. 3.5Where payment is made by cheque or bank transfer: payment must be made in full for the term of the Booking Agreement; notice of such remittance must be sent to the address notified by the Supplier; and payment must be received by the Supplier in cleared funds before Check-In. In the event payment has not been received in the circumstances set out in this clause payment must be made by the Customer or the Guest before access to the Accommodation reserved will be granted. (b)charge interest on such late payment at 4% above the base rate of the Bank of England from time to time from the Payment Date until such date as payment is made. 3.7A security deposit/pre-authorisation of GBP300 is required upon arrival for incidental charges such as: breakages, loss or damage to the Property or any of its contents; cleaning / specialist treatment charges where more than routine cleaning is needed or smoking has occurred (minimum £300.00 refresh) lost keys, electronic fobs at £50.00 for each fob; call out charge for locked out Guests at £100.00 +VAT per call out; any other financial loss to Skyline Worldwide Accommodations Limited e.g. where damage means the Property cannot be immediately re-occupied, plus our administrative costs. 3.8Where the Supplier enters into a Booking Agreement as agent for a Third Party Supplier the Supplier shall be responsible for all payments to be made to the Third Party Supplier. 3.9.6any other financial loss to Skyline Worldwide Accommodations Limited e.g. where damage means the Property cannot be immediately re-occupied, plus our administrative costs. 3.10In case of any Additional Charges, a written statement will be sent to you at the time the debit or credit card is charged the sum of the Additional Charges. 3.11Where the level of Additional Charges are not stated in these Terms, we will charge the actual cost of the cleaning, replacement, repair, services or loss (as appropriate) to you, together with any administration costs. 4.1Accommodation sourced by the Supplier may be provided directly by the Supplier or indirectly by a Third Party Supplier. 4.2The Supplier shall ensure that the Accommodation is available at Check-In and for the term of the Booking Agreement and is in good order at Check-In, however the Supplier gives no representation or warranty and accepts no liability as to the standard or quality of the Accommodation or as to the facilities available at such Accommodation. 4.3Booking Agreements are made for Accommodation at a particular location however the Supplier gives no representation or warranty as to the availability of any specific apartment at such location. 4.4Access to the Accommodation is not exclusive to the Guests during the term of a Booking Agreement. The Supplier will retain keys to the Accommodation and authorised staff of the Supplier shall have access to the Accommodation without notice to the Guests at all reasonable times and at any time in the case of an emergency during the period of the Booking Agreement. 4.5Housekeeping visits to the Accommodation shall be scheduled without notice. 4.6Although accommodation and location are confirmed in advance, the exact apartment number cannot be guaranteed prior to arrival. No refund will be payable in such circumstances. 4.7The number of people permitted to occupy the Property is limited: Studio apartments, max occupancy 2 persons, one bedroom apartment, maximum occupancy 2 persons. Two bedroom apartments max occupancy 4 persons. Three bedroom apartment, max occupancy 6 persons. In some apartments extra beds may be provided and this will be at an additional charge to be agreed at the time of the booking. All Guest names should be submitted at the time of the booking. 4.8The property is not for use as the principal home or residence of the Guests and is for use as temporary accommodation, or as accommodation in connection with the business needs of you, your organization and/or the Guests only. The Guests only have the right to use the Property pursuant to these Terms and no relationship of landlord and tenant is created. 4.9The lead guest must be at least 18 years old. All guests under the age of 18 must be accompanied by an adult. 4.10Please note Skyline Serviced Apartments has a strict NO party, no gathering policy. Our properties are regularly patrolled. Should there be evidence of a party or gathering, security/the police will be called and the apartment will need to be vacated. An automatic charge of GBP 2000.00 (minimum) will be levied. Skyline also reserves the right to prosecute all offenders under the Antisocial Behaviour Act 2003. 4.11Guests must allow viewings for the landlords and its agents and surveyors, sufficient notice will be provided. 5.1The Customer or the Guest must contact the Supplier’s Representative at least 48 hours prior to Check-In to confirm arrival time and Check-In procedure. 5.2 Accommodation is available for Check-In at the time specified in the Booking Details. A set of keys to the Accommodation will be provided at Check-In. Access to car parking or other facilities will also be provided if this has been agreed prior to Check-In. 5.3Guests are required to provide valid credit or debit card details to the Supplier’s Representative at Check-In to cover any damages or additional charges that may be incurred by the Guest during the term of the Booking Agreement. 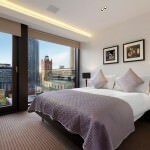 5.4Guests are required to Check-Out by the time specified in the Booking Details on the scheduled date for Check-Out in accordance with the relevant Booking Agreement or any agreed extension to that Booking Agreement. Additional procedure for Check-Out will be set out in the Guest Information Pack. (b)any items missing from the Inventory if applicable. 5.6The Supplier’s Representative shall be entitled to require the Guest to pay for any damage to the Property or any items missing from the Inventory not reported in accordance with clause 5.5 and the Customer consents, and warrants that the Guest consents, to such payment being collected from the credit or debit card the details of which are taken by the Supplier’s Representative in accordance with clause 5.3. 6.1All cancellations and/or notification of early departure must be received in writing. 6.2No refunds will be made for non-arrivals. 6.3A cancellation charge will not apply and a full refund will be given where appropriate written notice of cancelling the booking has been received by us. 6.4.1for bookings up to 6 nights, 72 business hours notice prior to the date of arrival. 6.4.2for bookings of 7 to 28 nights, 7 working days notice prior to the date of arrival. 6.4.3for bookings of 29 nights or more, 14 working days notice prior to the date of arrival. 6.6Where insufficient notice is given, the cancellation fee will be the nightly charge for the apartment multiplied by the number of additional day’s notice that should have been given. The amount paid for the cancelled nights that fall after the expiry of the notice period will be credited to the credit or debit card with which you paid and charges to process the refund will be deducted from the amount to be refunded. 6.7Should a Guest wish to depart before the booked departure date, the cancellation and notice periods at condition 6.4 or that which are stated on the Booking Confirmation will apply, and you (the guest) will be charged the nightly rate multiplied by the number of days which should have been included in the notice period. Notice of early departure must be received by us in writing for any such refunds to apply. 6.8If the Guest wishes to extend the period of stay in the Property, written notice should be given as soon as possible. 6.9Any extensions will be based on availability at that time. 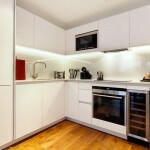 An alternative apartment may be offered if the Property has been booked for another client for all or part of the required extension. 6.10We reserve the right to charge a different price for the Property for any period of extension. Payment for the extension period will be required immediately once we confirm the availability of the Property or alternative apartment(s) to the Guest or to you, unless credit/payment terms have been previously agreed. 6.10.1We reserve the right to charge a different price for the entire booking should any alteration to the length of stay change at any time for any reason, but we would endeavour to inform all parties of any changes. 7.1Guests must comply with the regulations for use of the Property set out in the Information Pack. If any Guest breaches any of these Conditions or the regulations, we reserve the right to request the Guest to vacate the Property immediately, and without refund. 7.2Guests must not smoke in any Property booked by Skyline Worldwide. If the Guest is found to be smoking in the apartment or building, Skyline will charge an additional fee, which could also include additional cleaning costs. 7.3Under no circumstances are pets of any sort permitted in Skyline Worldwide Accommodations Ltd.’s apartments or buildings unless expressly stated on the Booking Confirmation. Exceptions may be made for Service Dogs, but additional fees may be incurred. 7.4Skyline Worldwide Accommodations Limited does not accept any responsibility for any loss or damage to Guest’s personal belongings at any time. Skyline’s insurance policy does not cover any personal belongings of the tenant (guest) or any other occupiers of the property. The guest is advised to take out insurance policies to cover the belongings of the guest and other risks incurred as a result of the occupation of the property. The Landlord and/or its agents will not be responsible for any loss or damage howsoever caused. 7.5Guests are responsible for the behaviour of their children whilst at the Property. 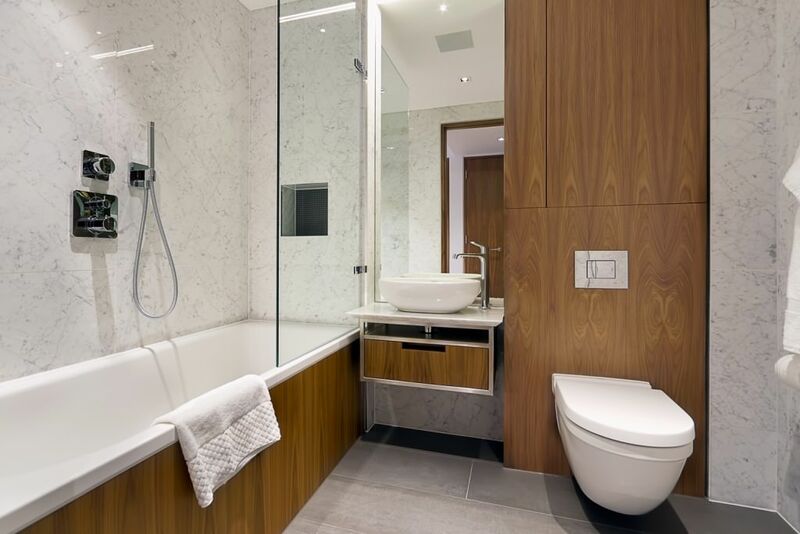 7.6Guests must keep the Property, and its furniture, fittings and effects in the same condition as on the date of their arrival, and must leave the Property in the same cleanliness and general order as it was upon their arrival in order to avoid incurring any Additional Charges. 7.7Guests must notify us of all damages, lost or broken items, or any such matters requiring maintenance in the manner shown in the Information Pack. 7.8Guests’ possessions must be removed from the Property on the date of departure. We will keep all lost property for a maximum of two months from the date of discovery; at any time thereafter it will be discarded. 7.9Guests must not exceed the maximum capacity for the number of guests in one apartment, and should additional guests be found to be staying in the accommodation, further charges may be incurred. The number of guests will be stated on the booking confirmation. 7.10Subletting the accommodation is strictly prohibited. 8.1The Supplier will disclose the Guest Details to Third Party Suppliers and the Customer consents, and warrants that any Guest and any party entering into a Booking Agreement consents, to such disclosure. 8.2Save for the Guest Details the Supplier shall not disclose Personal Data or Customer Personal Data to third parties including Third Party Suppliers without having first received written approval, additional to the consent given in clause 8.1, for such transfer from the Customer. The Supplier, including its staff, shall view and process Personal Data and Customer Personal Data only to the extent necessary to perform their obligations under these Conditions and the Statement of Work. 8.3The Supplier shall implement technical and organisational measures to ensure the security and confidentiality of Personal Data and Customer Personal Data in order to prevent, among other things: (i) accidental, unauthorised or unlawful destruction, alteration, modification or loss of data, (ii) accidental, unauthorized or unlawful disclosure or access to data, (iii) unlawful forms of processing. The security measures taken shall be in compliance with applicable data protection regulations and shall be adapted to the risks presented by the processing of the Personal Data or Customer Personal Data and the nature of the data to be processed, having regard to the state of the art and the cost of implementation. The Supplier shall immediately inform the Customer of any breach of this security and confidentiality undertaking, unless prohibited from doing so by law. A party (Receiving Party) shall keep in strict confidence all information or data of a confidential nature disclosed to the Receiving Party by the other party (Disclosing Party), its employees, agents or subcontractors, and any other confidential information concerning the Disclosing Party’s business or its products or its services which the Receiving Party may obtain. The Receiving Party shall restrict disclosure of such confidential information to such of its employees, agents or subcontractors as need to know it for the purpose of discharging the Receiving Party’s obligations under these Conditions, and shall ensure that such employees, agents or subcontractors are subject to obligations of confidentiality corresponding to those which bind the Receiving Party. This clause 19 shall survive termination of a Booking Agreement. (b)the Supplier’s total liability to the Customer in respect of all other losses arising under or in connection with a Booking Agreement, whether in contract, tort (including negligence), breach of statutory duty, or otherwise, shall in no circumstances exceed, in relation to any individual claim, the aggregate of the amounts paid by the Customer to the Supplier pursuant to the Booking Agreement concerned. 10.3Except as set out in these Conditions, all warranties, conditions and other terms implied by statute or common law are, to the fullest extent permitted by law, excluded from any Booking Agreement concluded pursuant to these Conditions. 10.4This clause 10 shall survive termination of the any Booking Agreement. (f)the other party suspends or ceases, or threatens to suspend or cease, to carry on all or a substantial part of its business. 11.2Without limiting its other rights or remedies, the Supplier may terminate a Booking Agreement with immediate effect by giving written notice to the Customer if the Customer fails to pay any amount due under the Booking Agreement on the due date for payment. 11.3Without limiting its other rights or remedies, the Supplier shall have the right to suspend provision of the Services under a Booking Agreement or any other contract between the Customer and the Supplier if the Customer becomes subject to any of the events listed in clause 11.1(b) to clause 11.1(f), or the Supplier reasonably believes that the Customer is about to become subject to any of them, or if the Customer fails to pay any amount due under a Booking Agreement on the due date for payment. (c)clauses which expressly or by implication have effect after termination shall continue in full force and effect. (a)The Supplier shall not be liable to the Customer as a result of any delay or failure to perform its obligations under a Booking Agreement as a result of a Force Majeure Event. (b)If the Force Majeure Event prevents the Supplier from providing any of the Services for more than four weeks, the Supplier shall, without limiting its other rights or remedies, have the right to terminate the Booking Agreement immediately by giving written notice to the Customer. (a)The Supplier may at any time assign, transfer, charge, subcontract or deal in any other manner with all or any of its rights under a Booking Agreement and may subcontract or delegate in any manner any or all of its obligations under that Booking Agreement to any third party or agent. (b)The Customer shall not, without the prior written consent of the Supplier, assign, transfer, charge, subcontract or deal in any other manner with all or any of its rights or obligations under a Booking Agreement. (a)Any notice or other communication required to be given to a party under or in connection with these Conditions shall be in writing and shall be delivered to the other party personally or sent by prepaid first-class post, recorded delivery or by commercial courier, at its registered office (if a company) or (in any other case) its principal place of business, or sent by fax to the other party’s main fax number. (b)Any notice or other communication shall be deemed to have been duly received if delivered personally, when left at the address referred to above or, if sent by pre-paid first-class post or recorded delivery, at 9.00 am on the second Business Day after posting, or if delivered by commercial courier, on the date and at the time that the courier’s delivery receipt is signed, or if sent by fax, on the next Business Day after transmission. (c)This clause 13.3 shall not apply to the service of any proceedings or other documents in any legal action. For the purposes of this clause, “writing” shall include e-mails and for the avoidance of doubt notice given under these Conditions shall be validly served if sent by e-mail. (a)A waiver of any right under these Conditions is only effective if it is in writing and shall not be deemed to be a waiver of any subsequent breach or default. No failure or delay by a party in exercising any right or remedy under the Conditions or by law shall constitute a waiver of that or any other right or remedy, nor preclude or restrict its further exercise. No single or partial exercise of such right or remedy shall preclude or restrict the further exercise of that or any other right or remedy. (b)Unless specifically provided otherwise, rights arising under the Conditions are cumulative and do not exclude rights provided by law. (a)If a court or any other competent authority finds that any provision of the Conditions (or part of any provision) is invalid, illegal or unenforceable, that provision or part-provision shall, to the extent required, be deemed deleted, and the validity and enforceability of the other provisions of the Conditions shall not be affected. (b)If any invalid, unenforceable or illegal provision of the Conditions would be valid, enforceable and legal if some part of it were deleted, the provision shall apply with the minimum modification necessary to make it legal, valid and enforceable. 13.6No partnership: Nothing in these Conditions is intended to, or shall be deemed to, constitute a partnership or joint venture of any kind between any of the parties, nor constitute any party the agent of another party for any purpose. No party shall have authority to act as agent for, or to bind, the other party in any way. 13.7Third parties: A person who is not a party to a Booking Agreement shall not have any rights under or in connection with it. 13.8Variation: Except as set out in these Conditions, any variation, including the introduction of any additional terms, shall only be binding when agreed in writing and signed by the Supplier. 13.9Governing law and jurisdiction: These Conditions, any Booking Agreement, and any dispute or claim arising out of or in connection with them or their subject matter or formation (including non-contractual disputes or claims), shall be governed by, and construed in accordance with, English law, and the parties irrevocably submit to the exclusive jurisdiction of the courts of England and Wales. As a company Skyline Worldwide Accommodations Limited welcomes feedback from its Guests. We do not expect and certainly don’t want dissatisfied Guests, but in the event that you are not entirely satisfied with the service offered you should notify the apartment’s manager in the first instance. If the problem cannot be resolved during your stay you should contact us in writing by fax, email or post to the fax number or address on the confirmation or on our website; alternatively you can call us on our office number. Our policy is to send a written acknowledgement of any complaint within five working days of its receipt. In our acknowledgement we will advise you of the name and job title or the person who will be dealing. 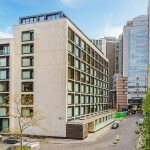 The perfect base for business travellers, the Roman House by Skyline property was built a couple of years ago near the Roman built London Wall - hence the name. 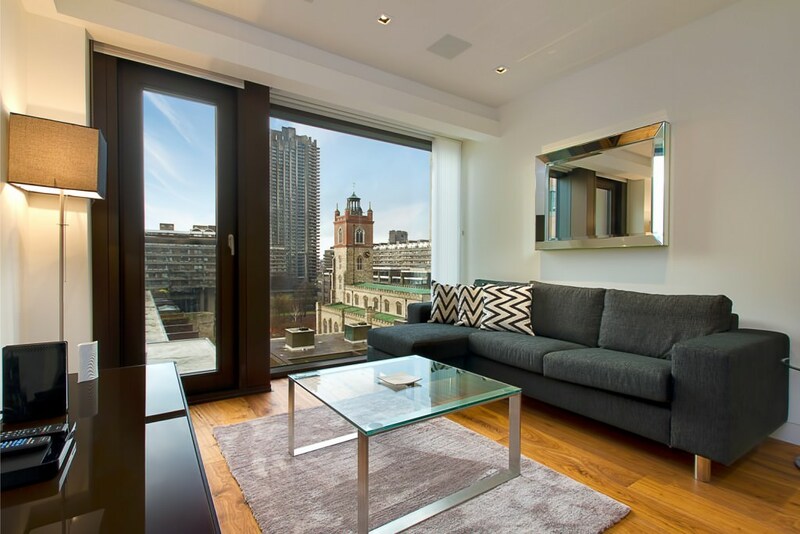 Centrally located in the City of London, Skyline provide super corporate serviced apartments in great locations. 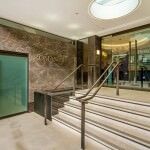 Close to Moorgate Station (it can be reached in 8 minutes on foot) the rest of the city is easy accessible with the station being serviced by the Northern, District, Circle and Hammersmith and City lines. 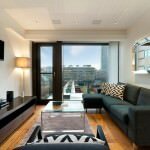 A short walk to the popular and vibrant district of Shoreditch, the one and two bedroom apartments are a haven from the easily accessible hustle and bustle of the City. An ideal base, the serviced accommodation is stylishly decorated throughout with a great range of amenities. 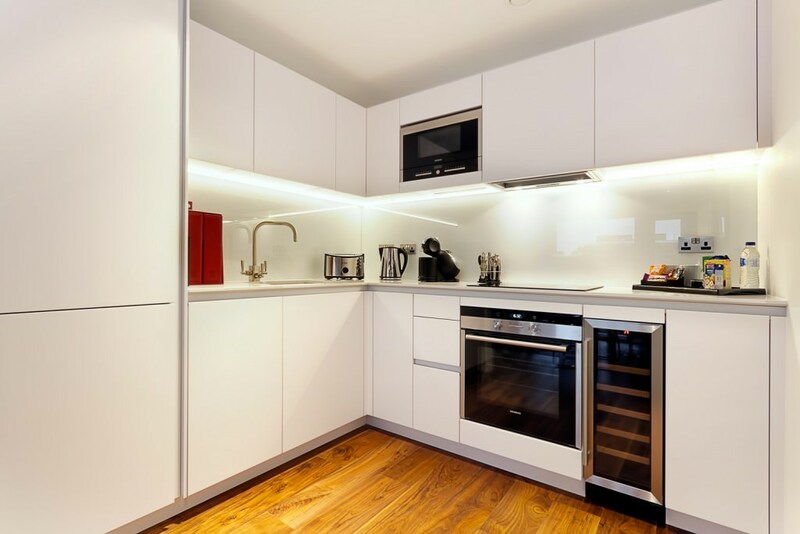 Furnished to a high specification, the apartments have fully fitted and equipped kitchens with washer, dryer and dishwasher. An iron and ironing board is also included as standard, as is a hairdryer, safe box and welcome pack. 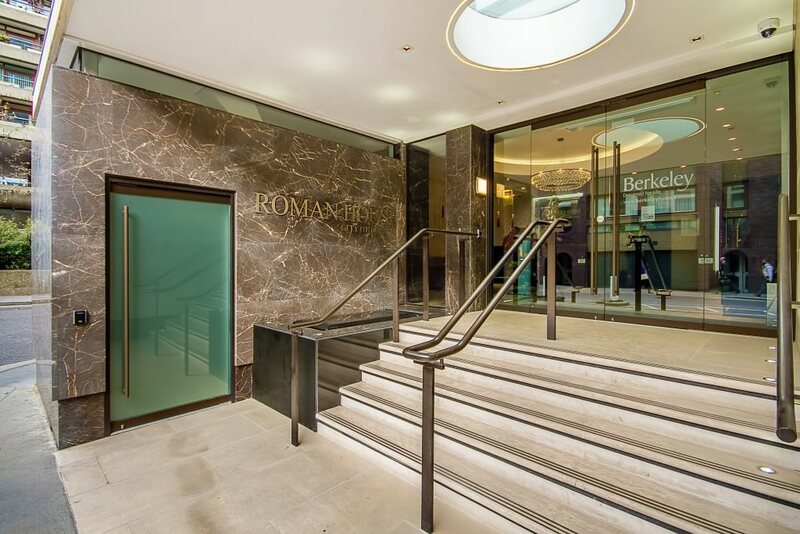 Roman House by Skyline offers free wi-fi throughout, as well as telephone and television. A child friendly building, for leisure or corporate guests with families there is a lift, as well as crib / cot / highchair available. 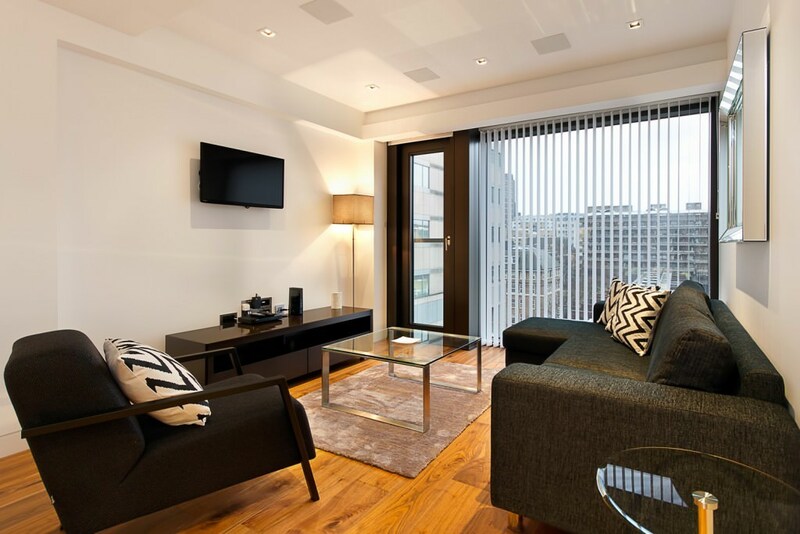 The fully serviced apartments offers a wonderful base in the capital and is equipped with all necessary facilities.